Here you'll be able to find up to date information about PE timetables, competitions and tournaments held throughout the term. Additional Activities - Every Thursday we usually compete in a number of different sports competitions against schools from the local area! Breakfast Clubs - Attached to school run breakfast club, children can opt to join in sports activities from around 8.20 onwards. In September 2018 both Nursery and Reception will start with a multi skills and fundamental movement module. Last year the children covered multiskills, gymnastics and soft play with exercise to music being an ongoing theme throughout the PE curriculum. So far our gymnastics has been heavily based on different methods of travelling, balance and simple rolling skills. Multi-skills is a topic we use to teach children about transferable skills we use in different games, sports and activities. We have been focusing heavily on movement, body awareness and balance. For more information refer the the Long term PE plan on the curriculum page of the website. During the first term in this school year the children will work on multi-skills and dance, also handball skills and variations of the game. Mr O'Shea is teaching handball skills relating to multi-skills and how we easily we can transfer skills between different games and sports. The sport we are focusing on is a variation of handball called mat-ball. We have also used this teaching time to prepare the children for an upcoming LSSP competition taking place in November. Mr Harris has been working on a multi-skills, health and fitness module. Teaching transferable skills and showing children how we can link and use these skills in any number of different situations. Mr Harris has also been using his experience and background in the fitness industry to teach and encourage the children to lead fit and healthy lives. More to come as the school year progresses (Check the school twitter feed for regular pictures of the children during PE). This term in PE the children will work on dance, and multi-skills with two modules of multi-skills being explored (includes aspects of team games). Mr O'Shea is teaching handball skills relating to multi-skills and how we easily we can transfer skills between different games and sports. The sport we are focusing on is a variation of handball called mat-ball. In year 2 we have been taking a more in depth look at how we attack and defend together and the importance of teamwork. We have also used this teaching time to prepare the children for an upcoming LSSP competition taking place in November. PE looks slightly different this year as they will receive swimming lessons every week throughout the school year. In school the children will work on multi-skills and fitness durning the first half term. Year 3 have been working with Harris in this first half term on a fitness module. The children have been learning about the different types of exercise they can do, for example, aerobic and anaerobic movement, cardio workouts and why we need to regularly exercise the heart and more about resistance workouts. This term the children work on a fitness module designed specially for the children by Mr Harris through his work as a personal trainer and a sports leadership award with Mr O'Shea. Year 4 have been working with Harris in this first half term on a fitness module. The children have been learning about the different types of exercise they can do, for example, aerobic and anaerobic movement, cardio workouts and why we need to regularly exercise the heart and more about resistance workouts. 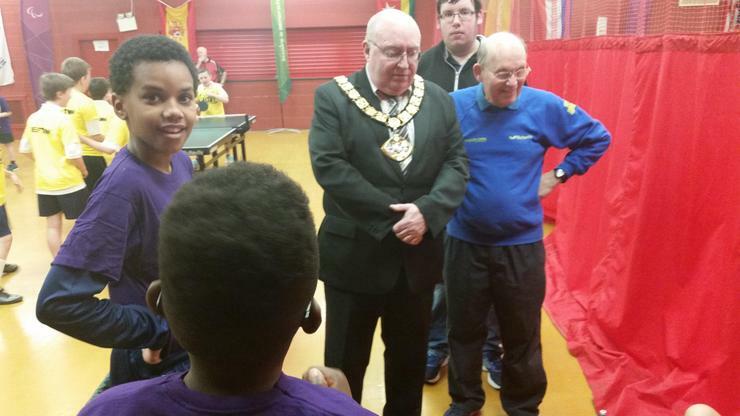 The children were taught the benefits of leading a healthy lifestyle through exercise and healthy eating. They used lots of games like fitness bingo and fitness dodgeball to keep the children's interest peaked! The children have been working with Mr O'Shea on the Kensington sports leadership award. This is a variation of the JOGA Leader program and the goal is to teach the children the importance of being a good role model in and around our school, not only in sport. The benefits of this program is that any child in our KS2 will be capable of running interesting and enjoyable games and activities on our school playground everyday. This year the children will work on a fitness module designed specially for the children by Mr Harris through his work as a personal trainer and a sports leadership award with Mr O'Shea. Year 5 have been working with Harris in this first half term on a fitness module. The children have been learning about the different types of exercise they can do, for example, aerobic and anaerobic movement, cardio workouts and why we need to regularly exercise the heart and more about resistance workouts. The children were taught the benefits of leading a healthy lifestyle through exercise and healthy eating. They used lots of games like fitness bingo and fitness dodgeball to keep the children's interest peaked! The Y6 the children work on a sports leadership award with Mr O'Shea and a health and fitness module with Mr Harris in the first half term. JOGA Leaders are children who lead fun physical activities for our other children at lunchtimes. 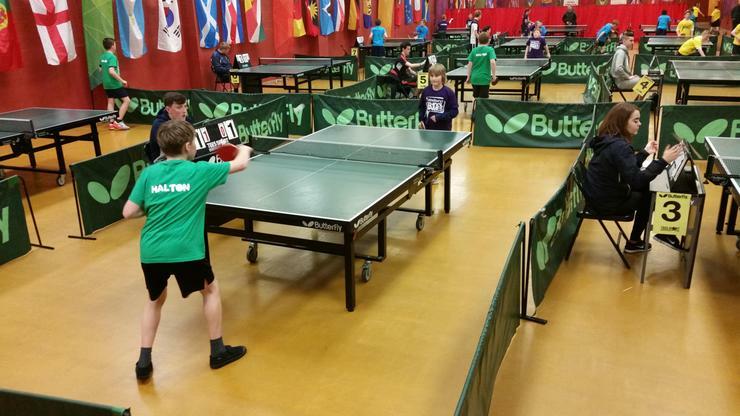 The volunteers take part in training and then work in small teams to organise games and fun sessions to help keep themselves and others active. The JOGA Leaders take it in turns to give one lunchtime per week to the programme. In doing so, they gain valuable experience of leadership and volunteering, including team work skills, organisational competence and developing their powers of communication. Over the years our JOGA Leaders have provided many activities to lots of children! This year two of our young female leaders are really trying to increase female participation across many sports! We have really seen a huge increase in the amount of girls who are showing an interest in sports they may not have without the JOGA Leaders help! Keep up the good work JOGA LEADERS! Starting in September 2018 children in Year 4, 5 and 6 all the children have been working on a Kensington sports leadership award, they will have to complete 5 playground sports sessions after their initial training to earn the award. The next step would be to apply to be a JOGA LEADER! Last year we have once again entered the excellent football competition at Admiral Park in Toxteth run by the excellent Target Football. We had an excellent year across the boys and girls leagues. Our boys team won the league for the first time ever and our girls team had their best ever finish finishing third in the league! 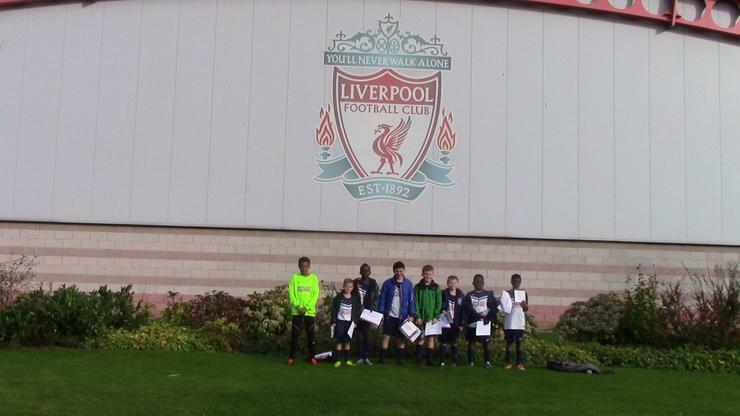 A mixed boys and girls team were also invited to play at Liverpool Academy to participate in the Ian Frodsham tournament where we finished second in our league! 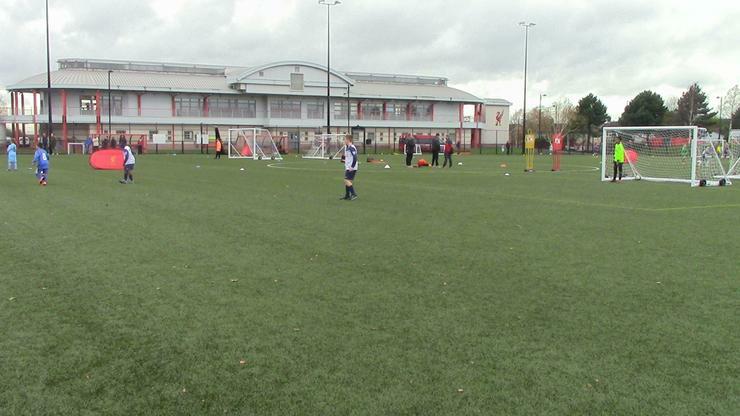 Well done to all involved and many thanks to Liverpool FC for hosting excellent school sports competitions. This year we have already been very busy in terms school sports competition. We have attended football, dodgeball, basketball and cross country. Officially we have attended 10 events across these sports with more to come over the coming weeks and months. 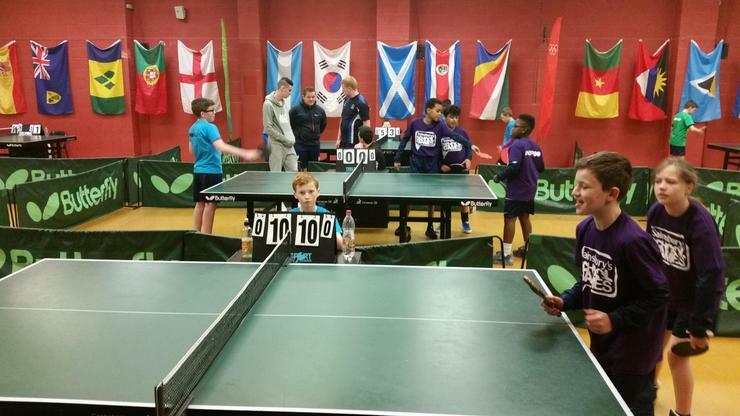 If your child would like to represent our school in any sports competitions it is very simple, they can speak to Mr O'Shea, attend the relevant after-school club or prove they are attending sports clubs out of school hours. Super Stars of dodgeball is coming back this term! Around mid-October our KS2 children will have the chance to compete in an intra-school dodgeball competition. 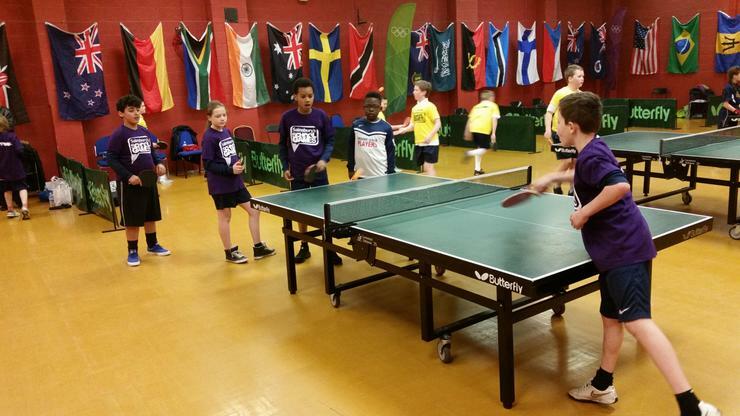 Last year over 100 children have signed up and competed to try and make it to the final, we hope to beat that number this year! Results to follow - Good luck to all children involved! 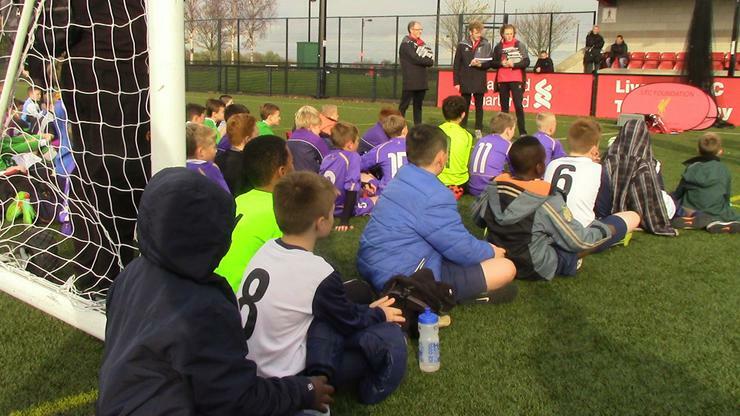 Last term we had our most successful ever competition with over 120 children from KS2 taking part. It actually took us a while to get through the entire competition with all of the children who entered (a nice problem to have) with the final taking place in the second to last week of term! For the first time ever we have entered a girls only football league which is held at Admiral Park every Wednesday and is run by Target Football. We are halfway thorugh the fixtures at this point having lost two games and won one! The girls are enjoying the experience of playing in the league and we hope to enter for many years to come! 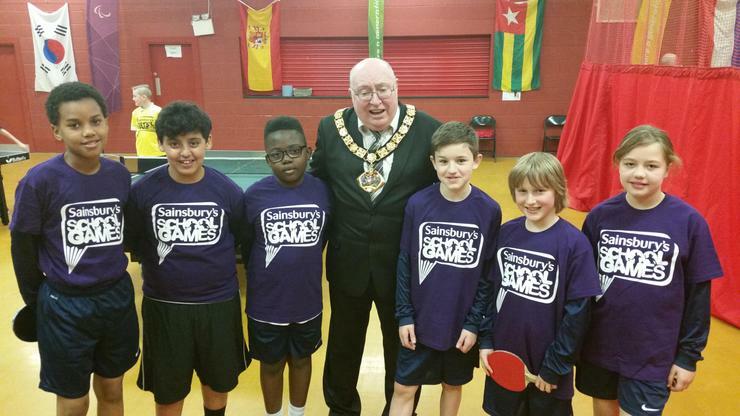 On Tuesday 24th February six children from Y5/6 represented our school at an LSSP (Liverpool School Sports Partnership) table tennis competition. 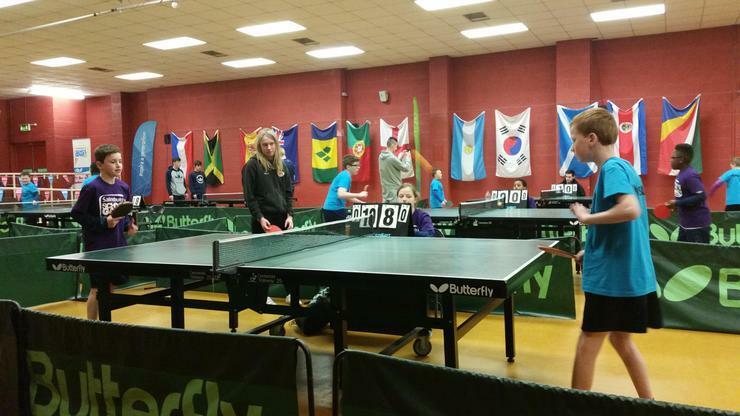 The competition was held at Gateacre Comp and there were eight different schools in attendance. 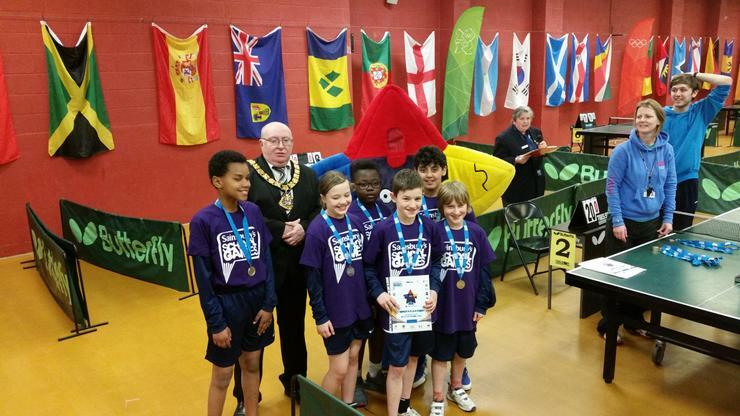 We managed to come second in the competition where we qualified for the Sainsbury's School Games (Merseyside Finals). 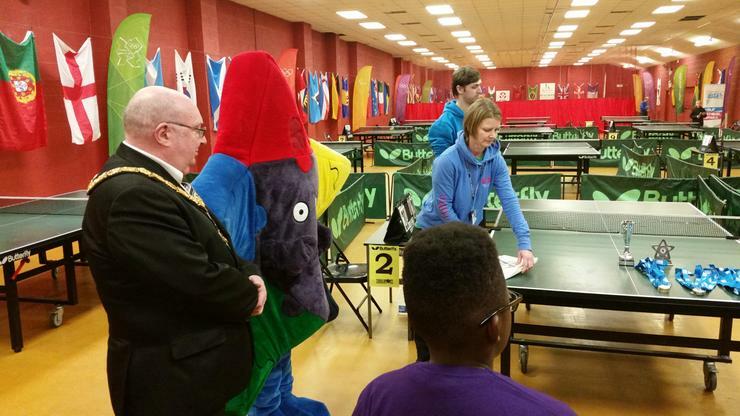 On Wednesday 25th March the same children attended the Merseyside finals at the regional headquaters for table tennis at Halton Stadium. 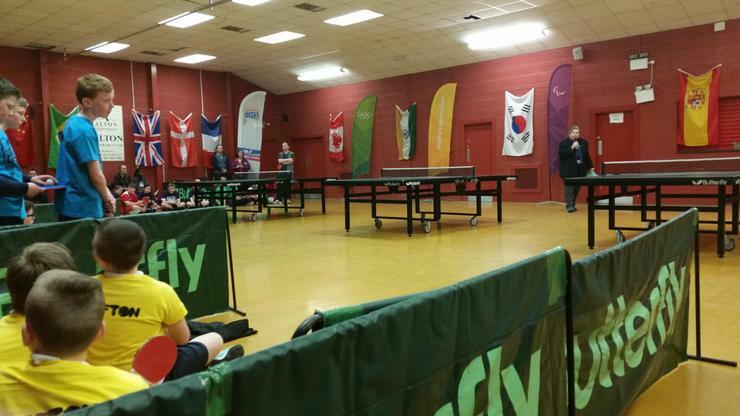 The children won their qualification group on the day qualifying for the finals on the day. The children put in a fantastic effort but where beaten by St Bede's Junior School, Widnes. 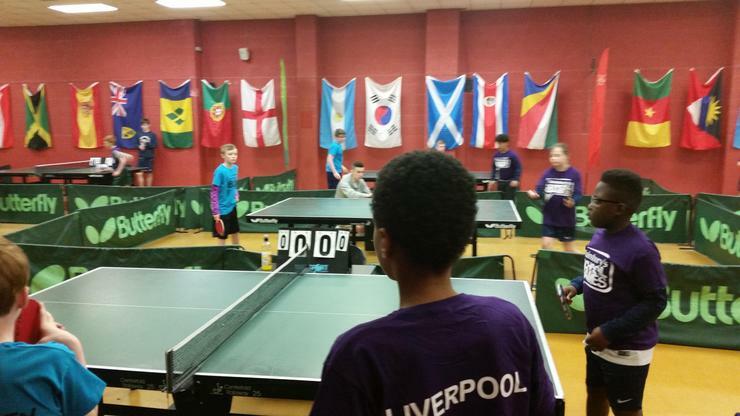 We are very proud of the children who managed to finish 2nd in all of Merseyside for table tennis in 2015! 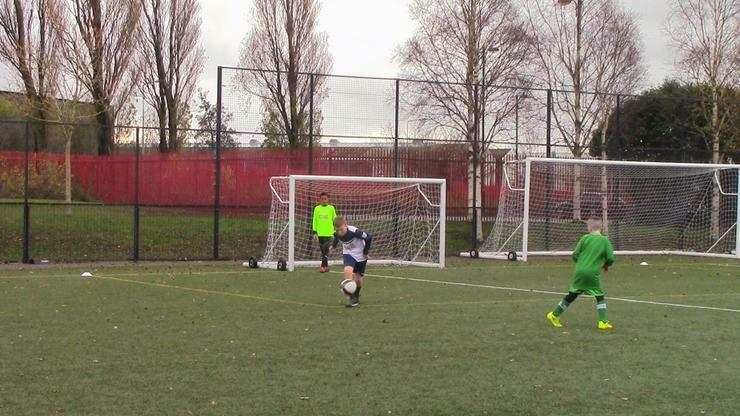 On Wednesday 12th November, the Kensington year 5 and 6 football team attended Liverpool Academy for a football tournament. The team placed in 3rd place out of 12 teams - Kensington are very proud of the team and we look forward to attending the tournament next year.